Check out my Interview with Lindsey Leavitt!! About the Book: Payton Gritas has just found out that her father has MS. On top of that, she discovers that her parents have been keeping this news from her for months! Payton is furious and her parents make her attend counseling sessions at school. When her guidance counselor suggests that Payton make a focus journal, Payton decides her focus object will be Sean Griswold's head. He sits right in front of her in Biology and she's seen that head in alphabetical order for years. But as her focus project continues, Payton realizes there may be more to Sean Griswold than just his head. He's smart, funny and he shares her love for Seinfeld. Can your focus object become your crush? And is any of this going to help Payton with her dad? 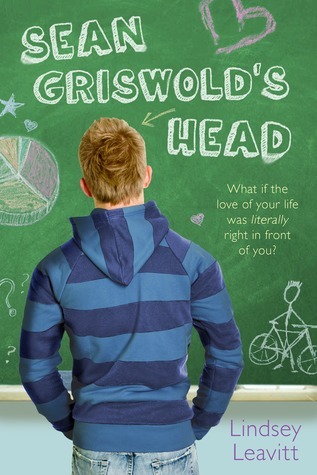 Sarah Teenlibrarian Says: Sean Griswold's Head is a contemporary novel that manages to weave together tough issues, romance, and humor making it heartfelt and hilarious at the same time. I love love loved it!! Payton is dealing with her dad's diagnosis, a fight with her best friend, and navigating the strange world of your first love. She has a great voice and I liked her immediately. Even throughout everything, Payton keeps her sarcastic sense of humor. Her focus journal entries on Sean are hilarious and her shift from Sean being a focus object to Sean being a crush rings true to any girl who has fallen for the boy that's always been there. Sean is sweet, charming and oh so adorable! He's a book boyfriend for sure, although I don't know if I'd be as willing to get on a bike as Payton is. And it's not just Sean and Payton that I loved-the entire cast of characters is well rounded and add to the story. I loved her friend Jac-she reminded me of me and my friends in high school who were always so over the top with our crushes! And Grady the Goth adds both some humor and heart as Payton deals with her burgeoning relationship with Sean. While I do think Payton's parents were terrible for not telling her about her dad, I did still love the family dynamic. Parents mess up and Payton's parents are trying to make it right. I love family dynamics like that. Author Lindsey Leavitt keeps the tone of the book lighter without going into fluffy-chick lit this is not. And while there's a romance storyline, this isn't strictly a romance. This is Payton's story about how even when life might seem at it's worst, there are good spots too-and how exactly do you navigate the good with the bad. I really loved this book. It was funny and sweet but also heart wrenching. You understand why Payton's upset and scared about her dad. While her actions are frustrating at times (she shuts her parents off and refuses to talk to them for months-realistic for teens, but hey, I'm an adult and wanted to tell her to talk to her dad! ), they are realistic and I think teens will relate. I loved that there was humor mixed in-it helped keep the book from getting too dark. I also really liked that the story never got sappy-it stayed real and while Payton figures things out, it's not done in an over the top way. I've already passed Sean Griswold's Head to the teens at my library and had them gushing over how great it was. 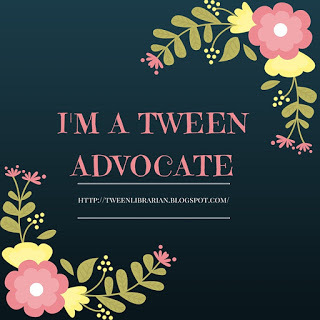 So pass this along to your teens who want a contemporary read or maybe a lighter issue story-they'll love it just like I did! Wow! Cannot wait to pick this one up! I am really into the contemporary books right now. Thanks for the review. I've heard good things about it. I'll have to check it out. This looks really good! I'm really into contemporary right now, and this one sounds amazing!